Learn more about how helicopters can benefit your agricultural operation in California. California brings in over 20 billion dollars every year from the agriculture industry. The state itself, represents the top in cash crop receipts for the US and produces over 15% of the US AG exports alone. So what does this have to do with your business? Well if you are in the agriculture industry, quite a lot and FairLifts is about to tell you how you can grow your business/output even more. With helicopter applications, you can not only grow your overall yield, but also your profits and increase your production quality as well. Aerial application in California isn’t necessarily unheard of, although we would not be surprised if you instantly think of planes rather than helicopters for crop dusting. Afterall, helicopters only perform 17% of the nation’s aerial applications. But this number is growing as more and more farmers are seeing the value added by using a helicopter for their spraying. When you have uneven terrain, or difficult to reach locations, maybe those close to public roads, any pilot would have difficulty flying a plane close enough to the crops to actually apply decent cover. This goes for those planted lands that happen to be close to power lines as well. Helicopters can not only get to these places, they also cause very little (if any) disturbance to roads and homes. 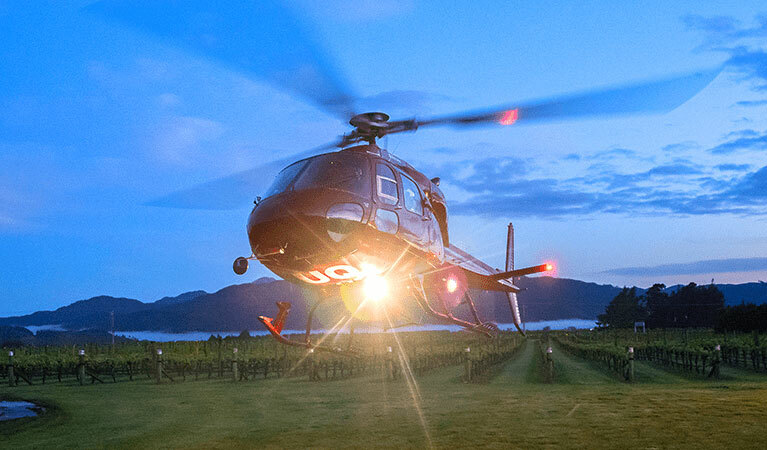 Not only does helicopter spraying provide a means to access these hard to reach areas providing greater coverage, but helicopters can also decrease costs for you by allowing for set up at your location rather than have to return to the airstrip. You have the ability to mix your chemicals and the helicopter can refuel multiple times using what is known as a “nursing truck” right on your property, making rounds go quicker and leave no additional environmental impact behind to your current row or crop areas. As we have said before, the export total for California’s AG industry was over $20 billion. Easily done given the 76,000+ farms and ranches that spread across the state. Helicopter spraying and additional aerial services can assist greatly in the local industry and have been contributing for a number of years. Helicopters, in particular, have been used in areas supporting difficult to reach fields or those with obstructions such as wind farms. With the professional and experienced operators of California, FairLifts has scheduled aerial application services for many crop types including Grapes, Almonds, Lettuce, Strawberries, Pistachios, Tomatoes, Walnuts, and Oranges. From brush and weed control, aquatic plant control, mosquito abatement, aerial seeding and of course crop dusting, helicopter aerial applications have assisted in every aspect of agricultural care for over 90 years. With FairLifts, you can schedule or arrange any assortment of services to best fit your specific crop needs. Aerial application offers farmers the ability to spray even when the ground is wet and cover more areas all at once. Accurate coverage for any of the following services is guaranteed using GPS controlled swath guidance systems on board all of the aircraft we work with. If you do not see a service you are looking for, please contact an agent today to discuss a tailored AG solution. Aerial spraying can be done for many different needs including those for fungicide treatments, aerial topdressing, hydroseeding and more. Providing a greater coverage area, aerial applications can be done in less time and offer you more deep crop penetration than traditional methods. Whether you are in need of dry spraying or wet spraying, FairLifts can offer you more options for your specific treatment area and crop supply. 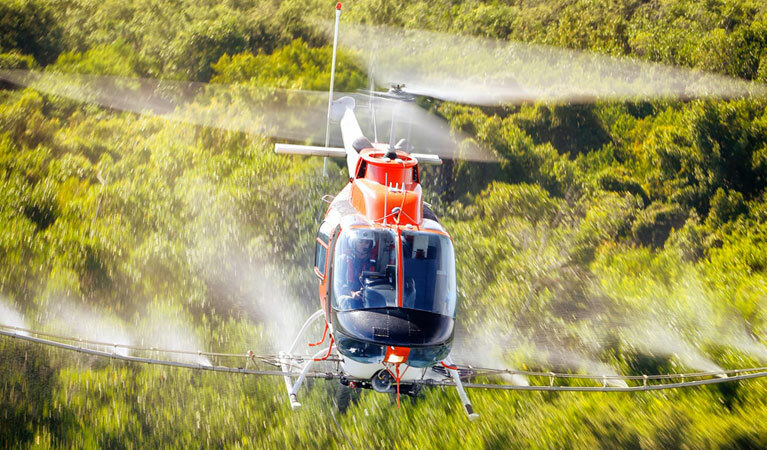 All helicopter spraying services can be contracted for on-demand situations or for recurring treatments. Mosquitos and other insects can truly make a devastating impact on crops when not addressed early enough. Fire ant broadcasting as well as pesticide spraying can be done for a full crop within a matter of hours and then again on a recurring basis to protect your valuable grow assets. 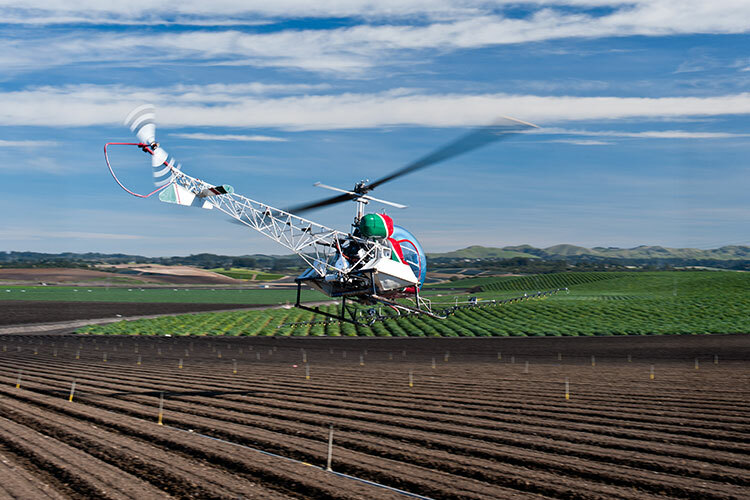 Pesticides used in any aerial application in California are highly regulated and we work in conjunction with state law regulators to guarantee your fields are sprayed with little to no pesticide/spray drift threat. Your crops can be treated with larvicide as well as adulticide to guarantee all pest life cycle stages are handled properly. Aerial herbicide spraying for noxious weed and brush control is imperative to grow healthy crops. With a helicopter, all herbicides sprayed not only hit the surface level of crops but also underneath. Downdrafts created by the rotors of the ag-helicopters assist in pushing chemicals through layers that you simply cannot hit from the ground or with a plane. Smaller weeds and brush can still invade your crops by growing under the leaves of your plants as well as in areas hard to reach along treelines, helicopters have the ability to spray these and rid your fields from weeds for good. Frost has been known to cause devastating crop damage costing farmers in the millions in the past. Prevent this by arranging for helicopter frost prevention and treatment. A helicopter will slowly sweep over your crop area stirring warmer air in with the cool to thaw pre-frozen crops. Typically, helicopters can treat up to 50 acres at a time for frost prevention. Don’t wait until the night of a forecasted frost to schedule your frost treatment or prevention. Schedule helicopter prevention before the season. Experts are standing by to get you a fast quote for your agricultural job in California! FairLifts works with the most professional and experienced pilots and operators working in the agricultural aviation industry. Each of our agents is well-versed in assisting farmers in producing higher and better quality yields in California and can assist you in your own growth. Simply contact us seven days a week to discuss environmentally and neighborly crop dusting and spraying this next growing season.